Getting to SMO: Glacier Division can be quite easy! Visitors arriving by car will use U. S. Highway 2 to access the park from either the east or west. Visitors can also access the park from the north using Highways 89 or 17. Glacier Park International Airport in Kalispell, Montana is 25 miles west of park headquarters in West Glacier, Montana. There are also airports in Great Falls, Montana (200 miles east of West Glacier) and Missoula, Montana (156 miles south of West Glacier). Car rentals are available at airports. Shuttles are available at the Kalispell airport. Amtrak services both East Glacier and West Glacier. Glacier Park Inc., provides a shuttle service at these locations. View the shuttle information on their website or call them at 406-892-2525 for more information. 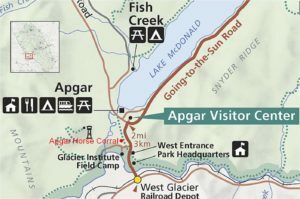 Our Apgar Corral is located just inside the West Entrance of Glacier National Park. 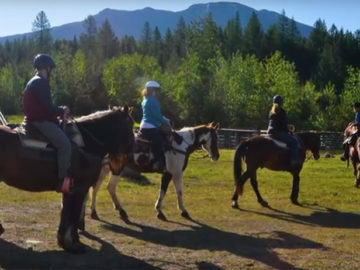 Access the West Entrance using Highway 2 and take the first left after the West Entrance Station at the sign that reads “Horseback Rides”. 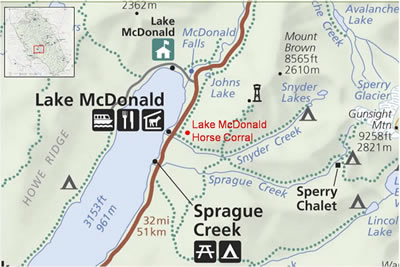 Our Lake McDonald Corral is located across from Lake McDonald Lodge, just east of Going-to-the-Sun Road. Park in one of the parking lots on the West side of the Going-to-the-Sun Road and take the foot trail, which starts at the “Horse Rentals” sign, up to the Lake McDonald ticket booth. 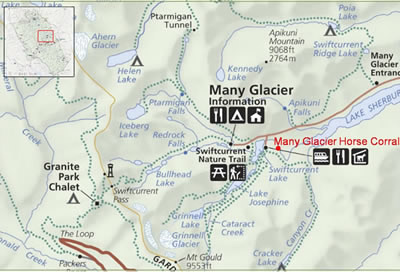 The Many Glacier Corral is located across the parking lot of the Many Glacier Hotel just inside the Many Glacier Entrance of the Park. Access this entrance using Highway 89. 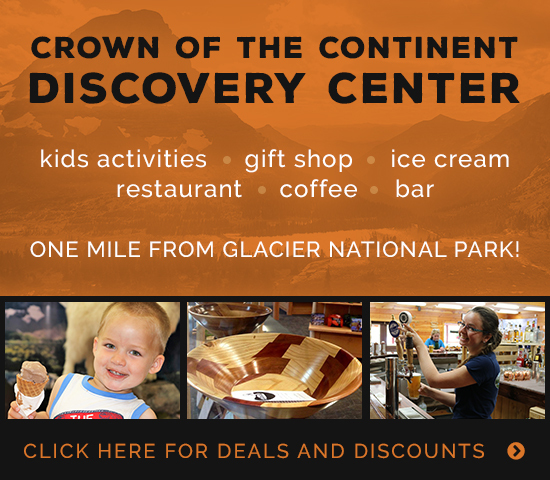 The West Glacier Corral is located at 12000 Highway 2 East, West Glacier, MT 59936 directly behind the Crown of the Continent Discovery Center about 2 miles from the West Entrance to Glacier National Park. Great instructions before the ride! Not all outfitters take the time to cover the horses and what to do and not to do. Good for rider and horse. Excellent!